Oil painting of the Battle of Trafalgar. 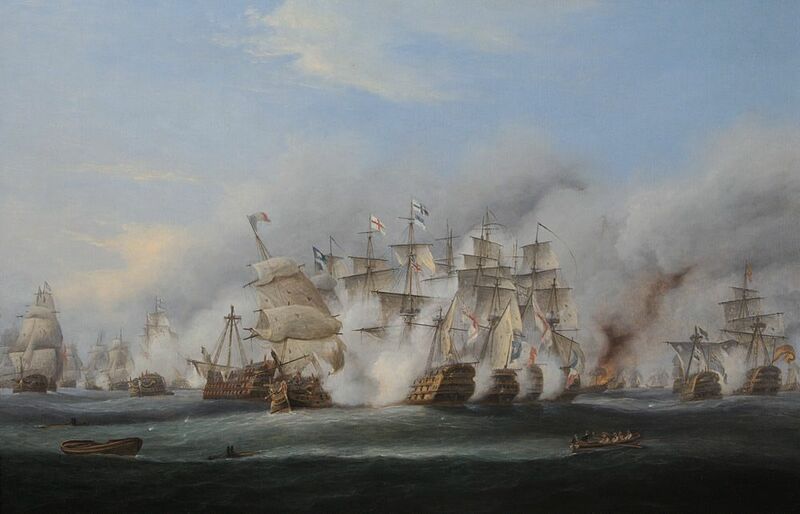 Two British and two french ships are engaged alongside firing close quarter broadsides. Severely damaged ships pictured to the left and right. Artist signature and date lower left corner. This Battle of Trafalgar Art Print is created using state of the art, industry leading Digital printers. The result - a stunning reproduction at an affordable price.